Have the cable ties run out, are suitable tools, cutlery or a vacuum cleaner attachment missing? 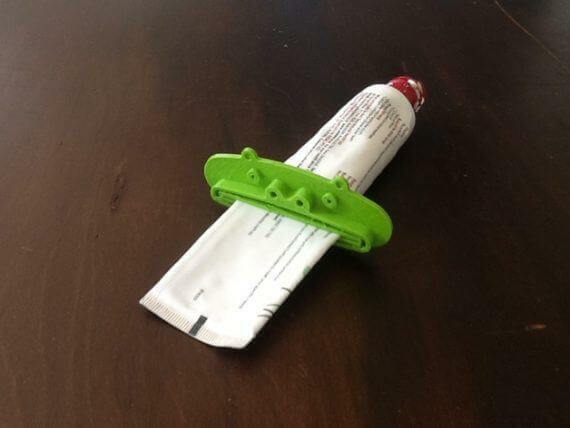 No problem: With 3D printing and a little filament you can make and fix many things! Great! 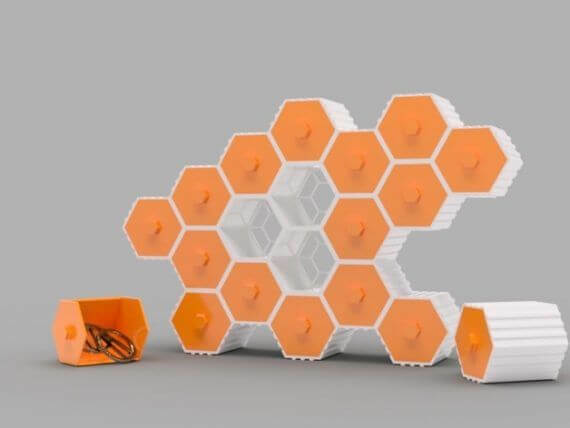 These 3D printed elements, which you can print of course in your favorite colors, let your imagination run wild! 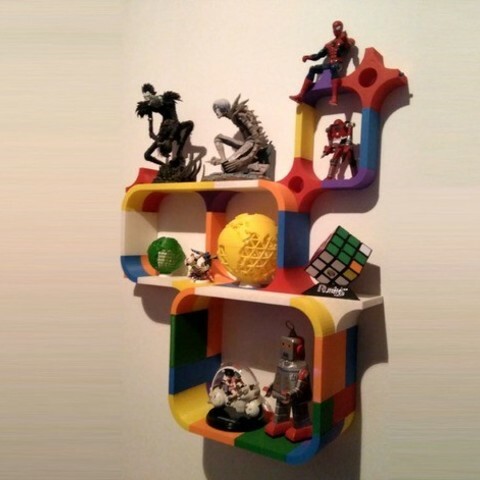 You can make spiral or angular, small or large shelves from the individual parts and as many as you want! 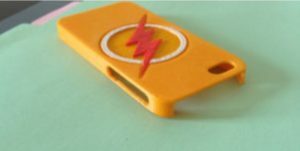 Every maker knows this: After many print jobs, a little finishing work has to be done afterwards to achieve the ultimate result. This sanding block could be useful for this job! 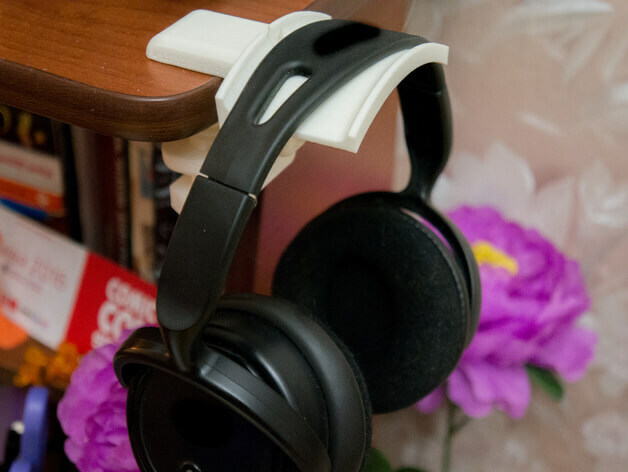 What about a practical holder for your headphones, which you can attach to your table and provide more space! This one here was printed with an Anet A6 with support structures. This case is ideal when you are travelling. The advantage of a printed compared to a conventional one: You can choose your favorite color and even print it in transparent or multicolored. 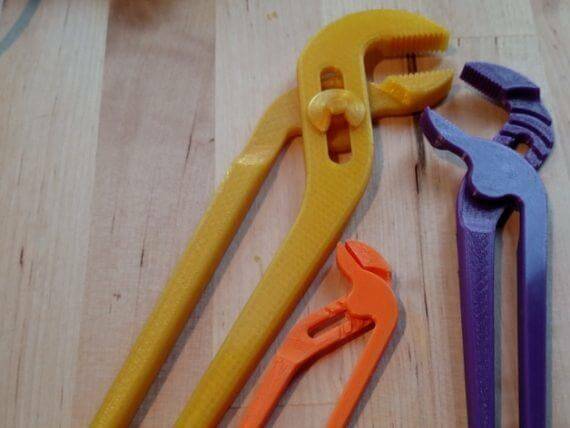 Aren’t these colorful wrenches beautiful? That makes DIY twice as much fun! These were adapted to an M16 nut. Depending on the nut, you can of course also reduce or increase the size of the wrench! 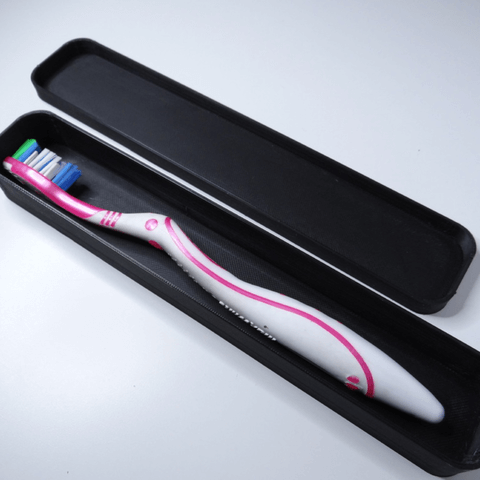 And another cool thing: You can immortalize your name on the handle! 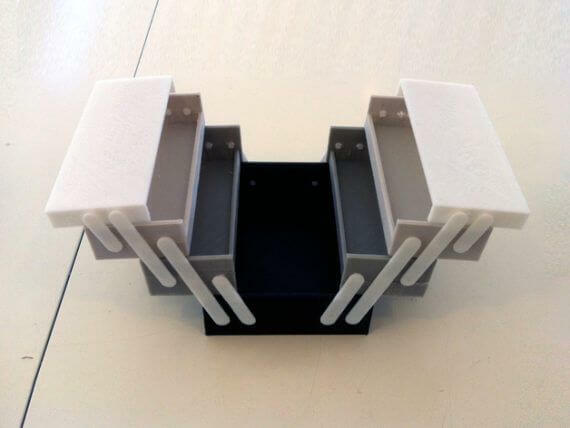 Here is a practical stand that puts your documents in an upright position. The gadget is printed quickly and can be extremely helpful and time-saving when reading or typing texts! 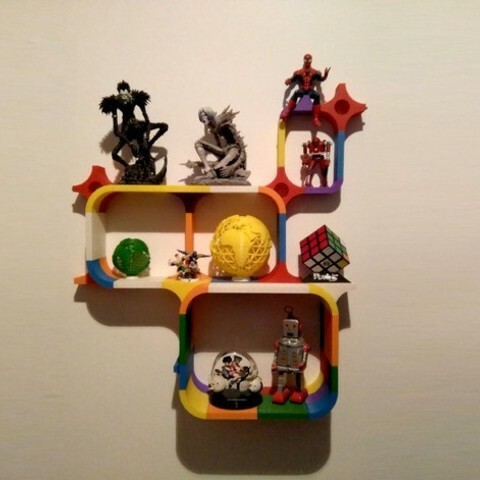 Maker “oddovalspin” printed the stand with a layer height of 0.25 mm in a Prusa i2. 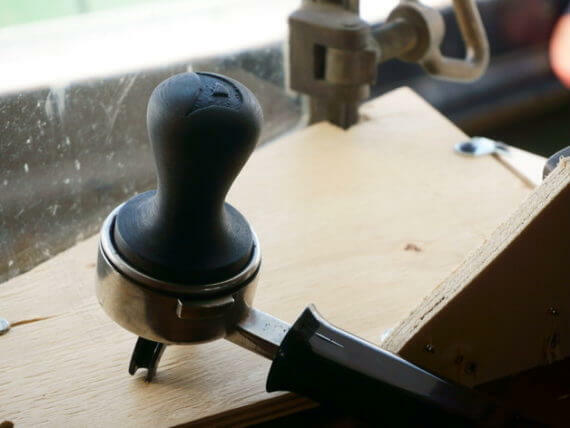 Here a useful espresso tamper! Remember that many filaments are not suitable for the food industry. Before printing, check your material and use the tamper only for dry coffee powder. 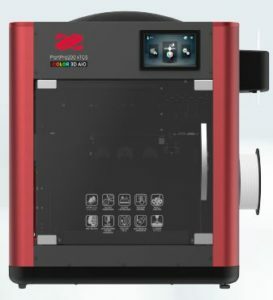 If you own a Gaggia Espresso machine: Maker “LxO” also provides a 3D model of a suitable holder for your new tamper. You are about to buy much more than you were up to and you cannot find any coin or token in your wallet for a shopping trolley? 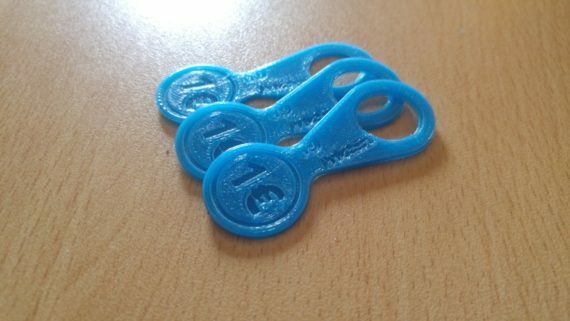 If this story sounds quiet familiar to you, then just print some tokens! 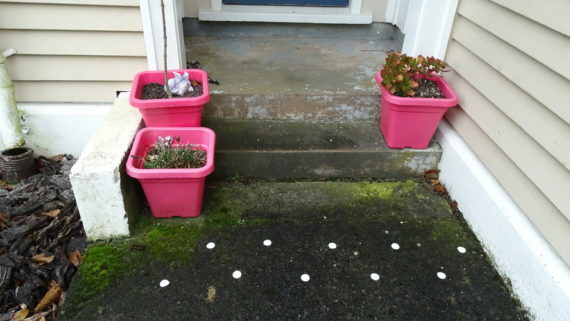 Not a bad idea: These 3.2 mm high tiles can be glued, screwed or simply pressed into the floor and warn people with visual impairments of obstacles such as stairs or entrance doors. The tactile warning points are so high that you can feel them with a blindman´s stick, but they are also low enough to fit under most doors. If necessary, they have to be scaled down a little bit. Everybody needs ice cubes at home, whether on a hot summer day or simply to refresh your mind with a cool drink. 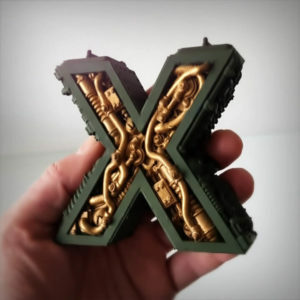 Flexible filament is the best way to make the cubes easy to remove. 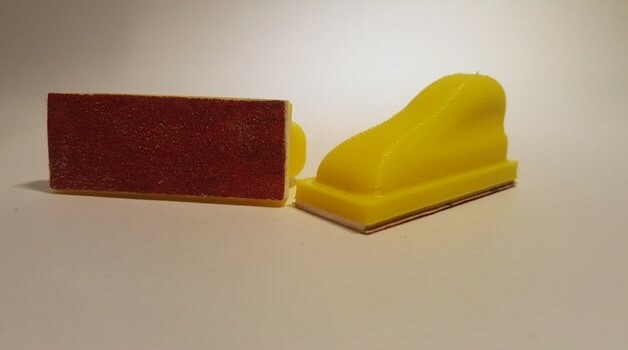 If you ran out of flexy material you can still print the tray with more solid filament. In this case you can loose the iced cubes by adding some lukewarm water. 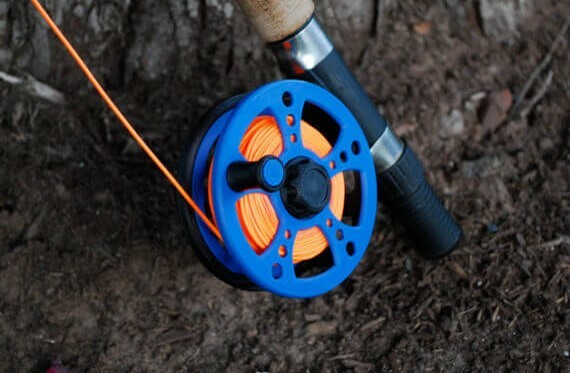 For all makers who would like to take a break while their 3D printer is working hard: A fishing reel for relaxed fishing. Cable ties are a must have. 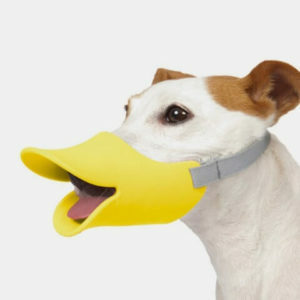 They keep things neat and tidy and they can be used for all kinds of purposes. 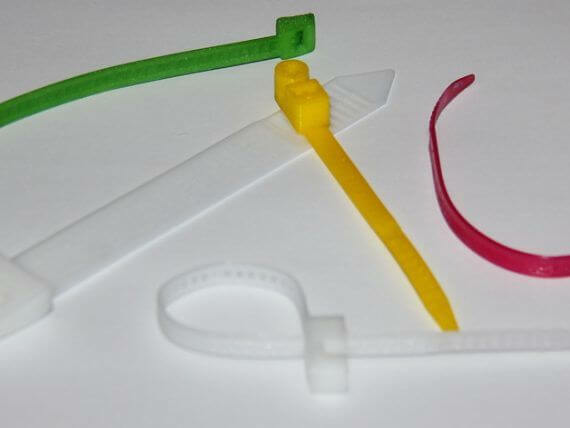 Thanks to 3D printing, you don’t have to limit your fantasy to white cable ties, but you can print them in all kinds of colors. 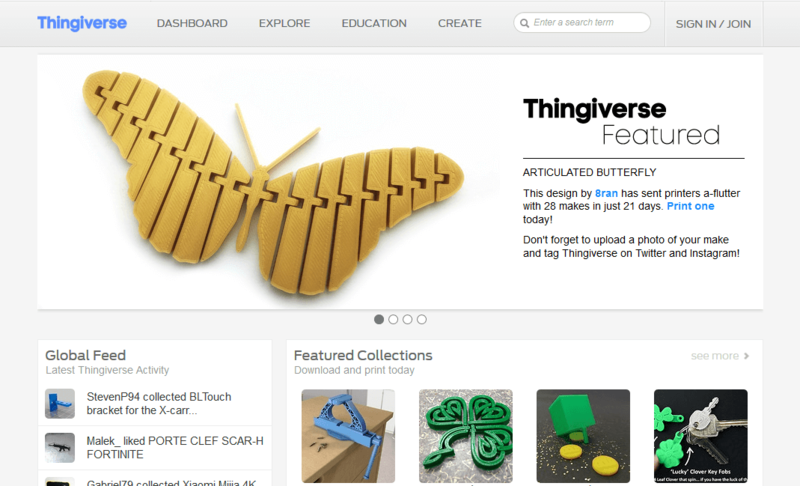 Maker “jetty” recommends ABS or 618 nylon from taulman3D for printing. 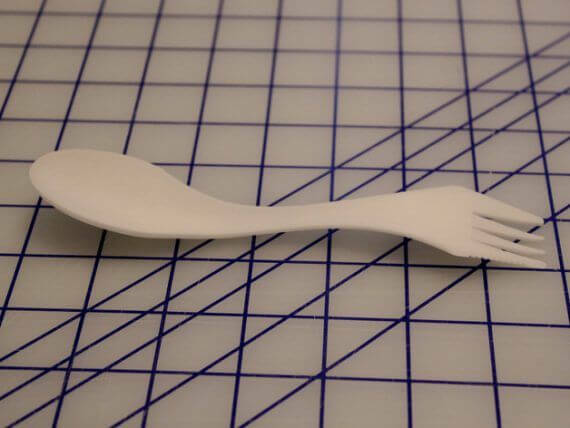 Spoon, fork and knife in one – a must for all purists and travellers! Thirsty? 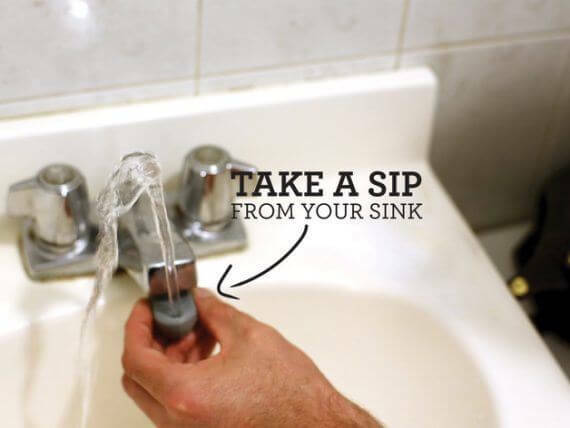 Let’s go to the sink and take a sip! 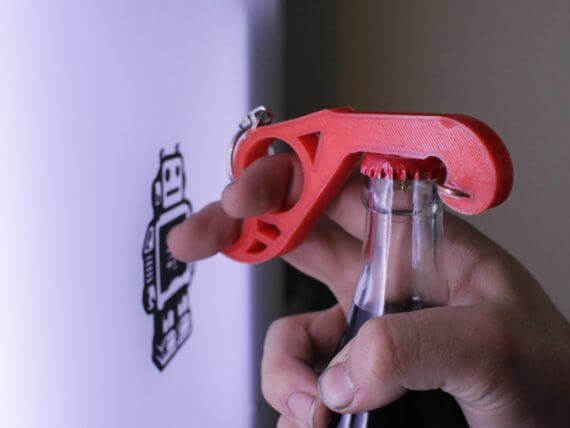 If you don’t have a second hand left to open a bottle then print this unusual one handed opener. 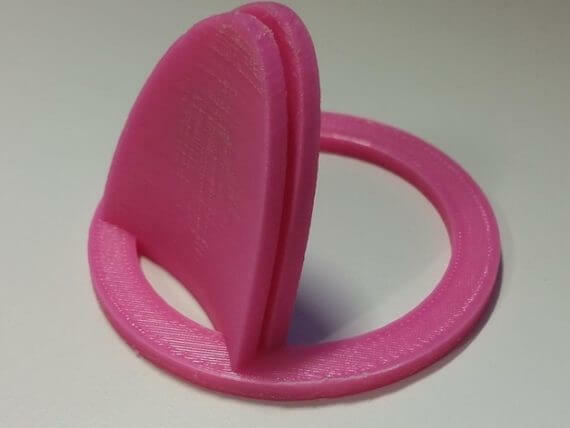 With the help of a 1 cent piece and a small magnet that you both attach after printing, the gadget does its job. 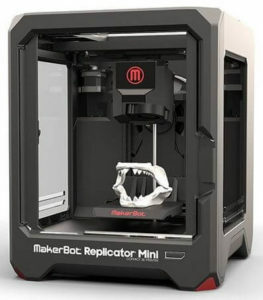 Yes, for almost everything there is a solution from the 3D printer. 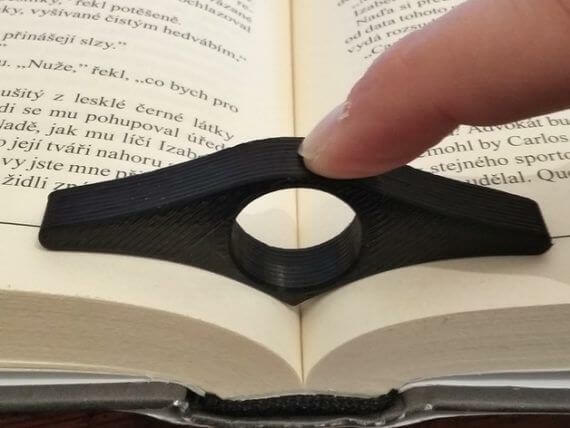 What about this reading aid that prevents the next page from covering the text to be read? 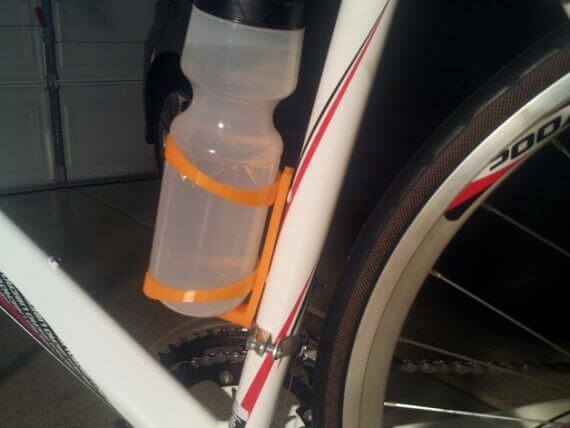 This bottle holder for active and thirsty cyclists and makers is printed in three parts. 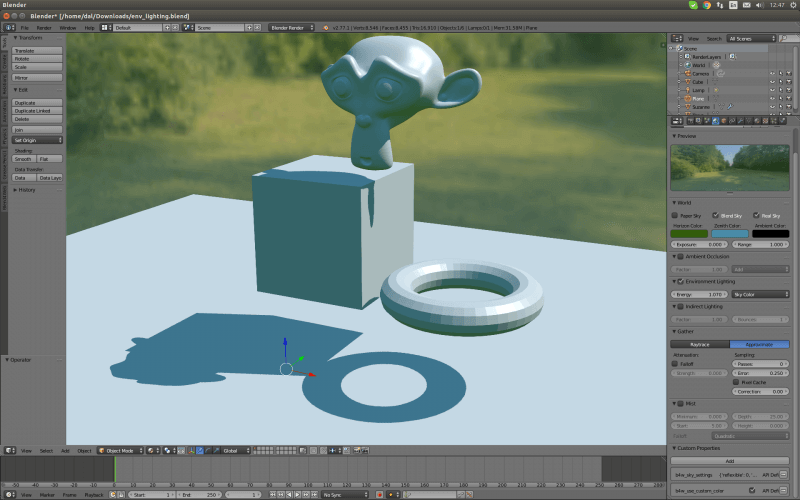 To avoid wasting content of some tubes, you can print this gluttonous little animal. 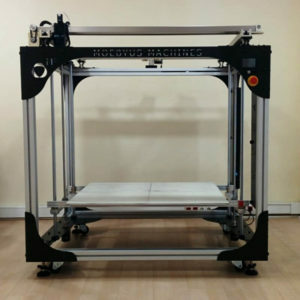 – Quickly, without any support structures. Carabiners are basic equipment for your toolbox or workshop. Why not print them in rainbow colors? 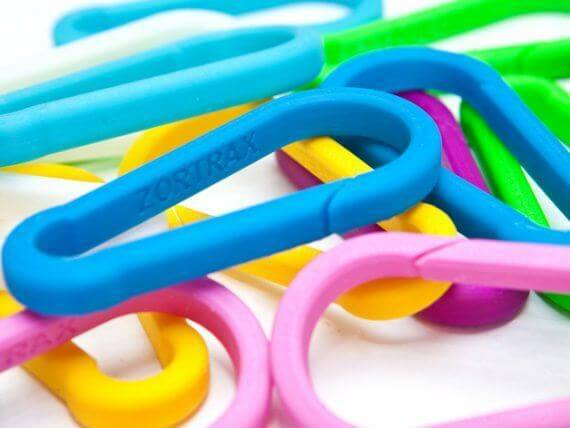 Maker “ZFRAFT” printed them with a Zortrax M200. 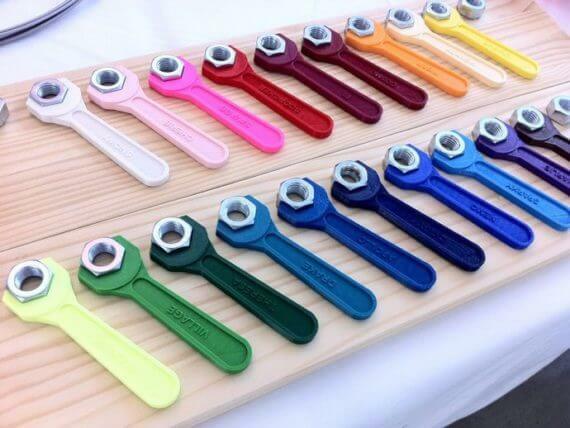 Have you ever seen such colorful pipe wrenches? That makes work three times fun! Before printing, you should think about what you are using the pliers for. 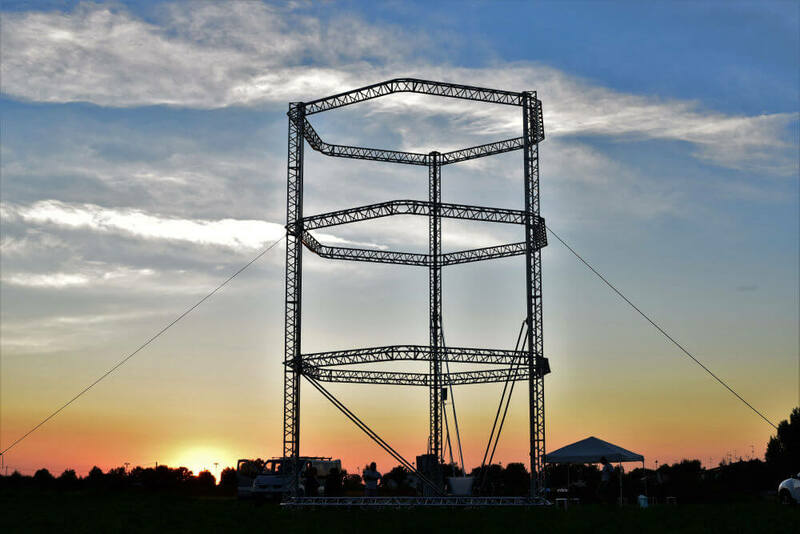 If they are intended for larger applications, high infill is required. This useful, foldable tool box with five compartments (10 x 8 x 8.5 cm) is printed with PLA. 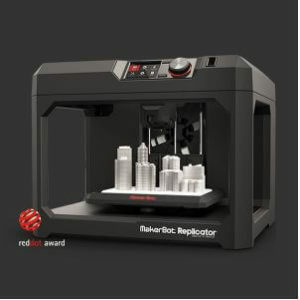 If you are more of a design guy and also like retro look, you should try this model. 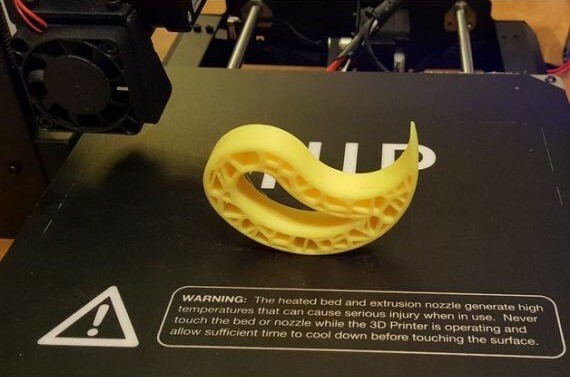 It was printed with a Maker Select V2 without support within 10 hours. 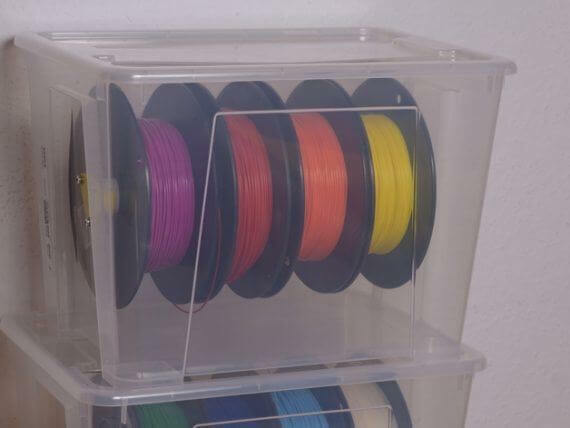 Here a practical storage option for your (standart) filament spools. 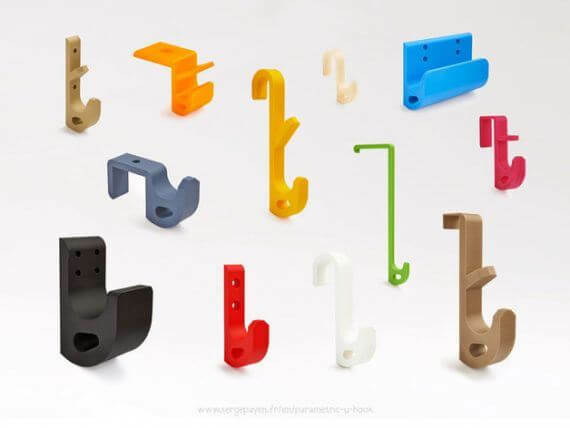 These colorful PLA U-hooks are available in a wide variety of designs and can withstand weights of up to over 40 kilograms. 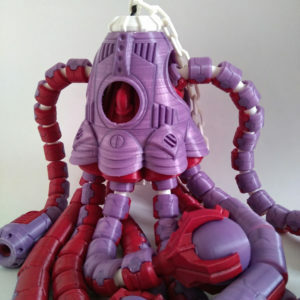 Maker “sergep” printed them with a MendelMax 3. Despite careful handling, vacuum cleaner attachments wear out, become unhygienic or even lack the right piece to reach special corners. This misery has now come to an end! 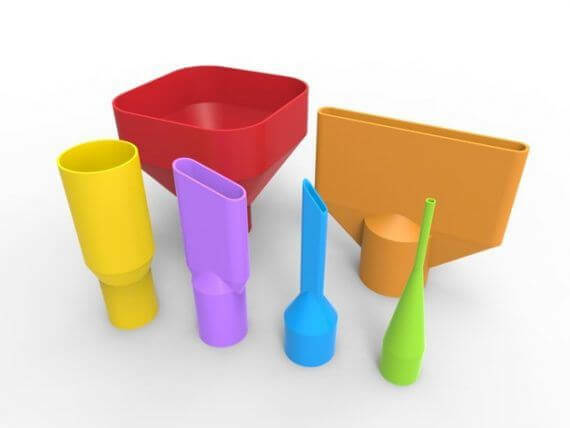 The attachments can be adapted to any vacuum cleaner and can be printed in your favorite color. 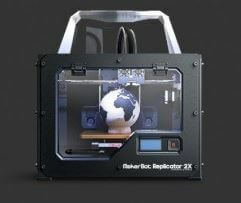 “Zivbot” chose a MakerBot Replicator 2 for printing. 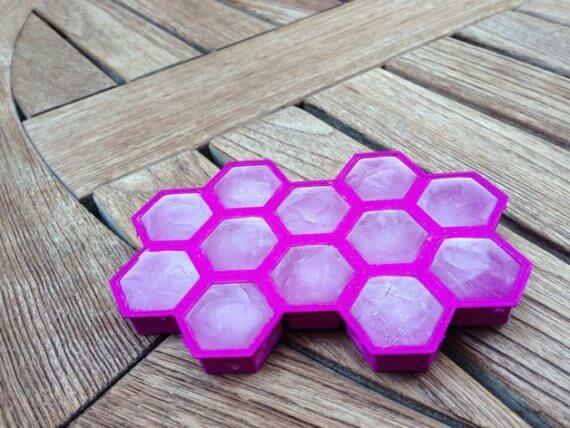 This pretty door stopper in Voronoi style will certainly fit under any door! 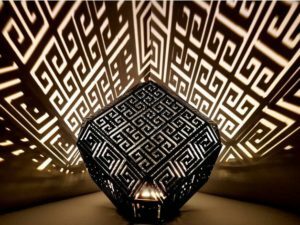 If the doors are quite high and there is a large gap to the floor, the model must be scaled accordingly. An example: If the distance is higher than 2.54 cm, the model should be extended by 110%. 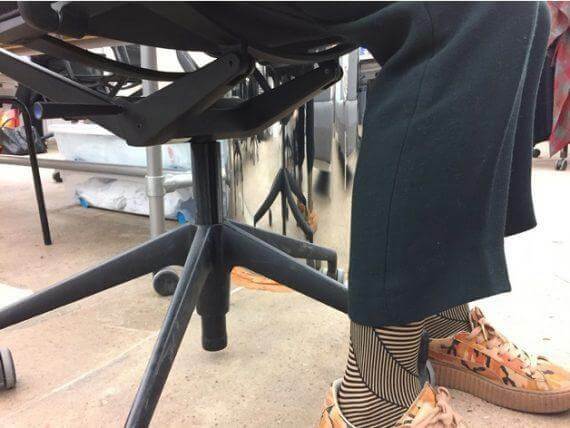 Everyone has probably experienced this in everyday office life: office chairs that don’t stay at the height at which they were set. 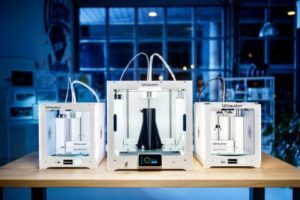 Fortunately there are 3D printers that can help in this matter! Maker “jbobrow” had problems with his Vitra Physix, which slowly but surely slid further and further down after a certain time. 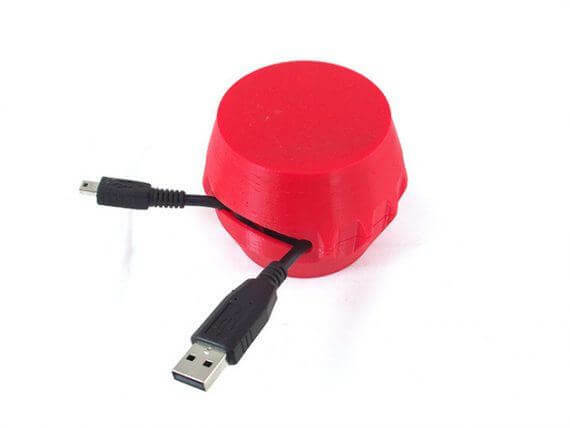 He has simply printed himself a stopper that can hold exactly his favorite height! 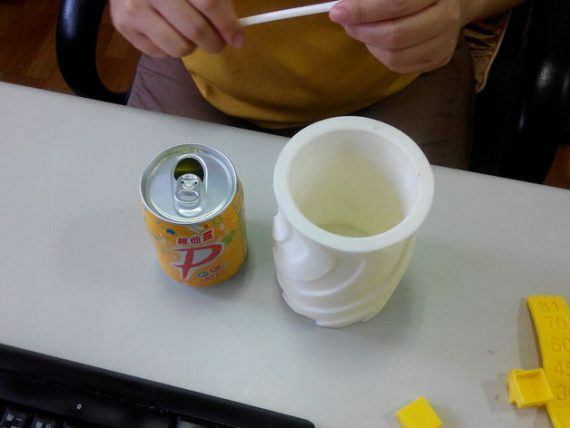 This mug was printed with ABS in a YouLight Delta and lets your cans stay cool! 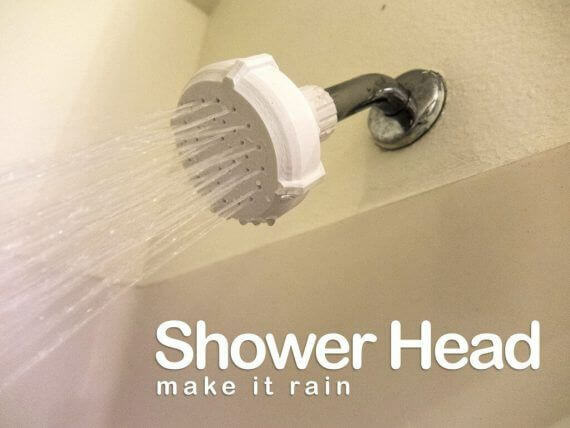 If constant descaling or the way to the DIY store becomes too annoying for you, you can simply print a new shower head at home! We all hate fully loaded shopping bags whose handles are painfully buried in the hands. 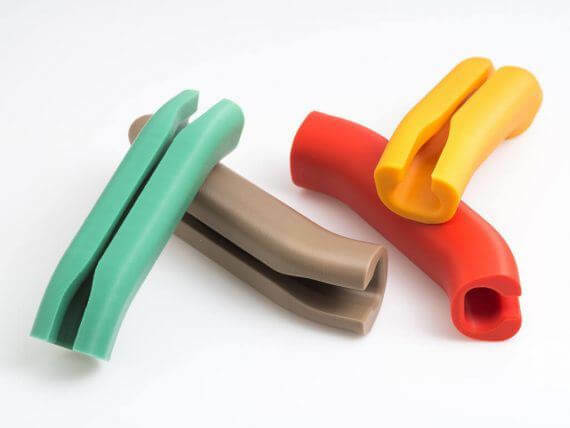 But that’s a thing of the past, thanks to the 3D printed pocket handles, which can also boast in bright colors! 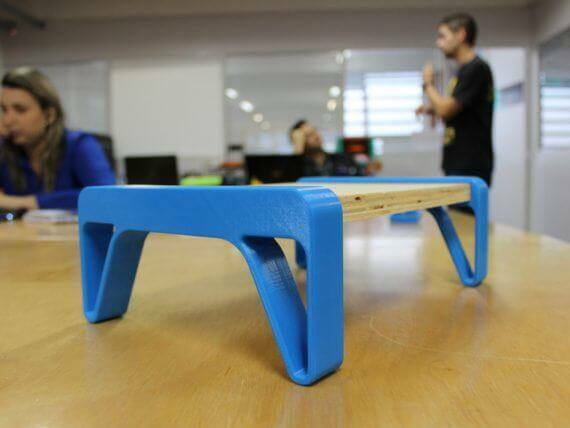 With this 3D printed laptop table you can make yourself comfortable! Good organisation is half the battle! 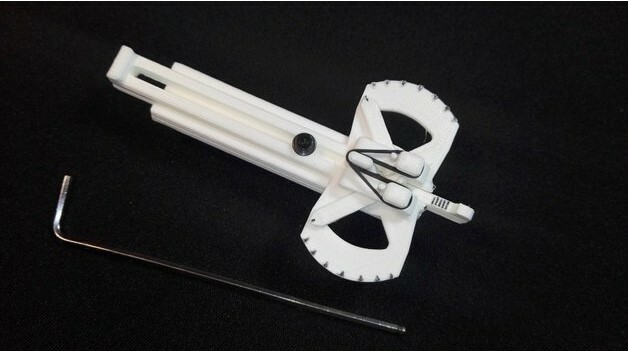 Here a cable dispenser for your 3D printer! 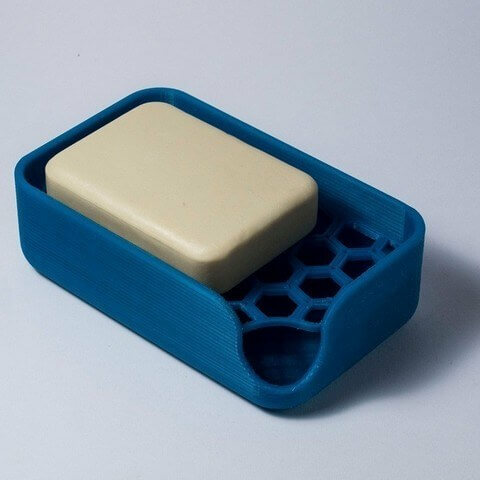 Cool soap holder from designers of the Polytechnic of Milan according to form-follows-function. 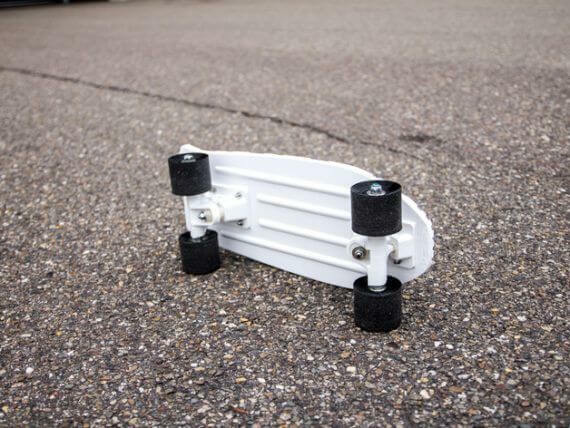 If you can print the board of a skateboard, why not make the whole frame with all the wheels? 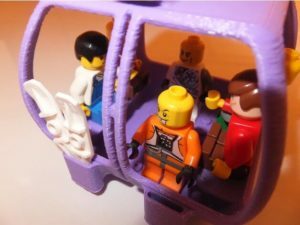 But please choose a suitable filament for the wheels, otherwise it gets very bumpy!